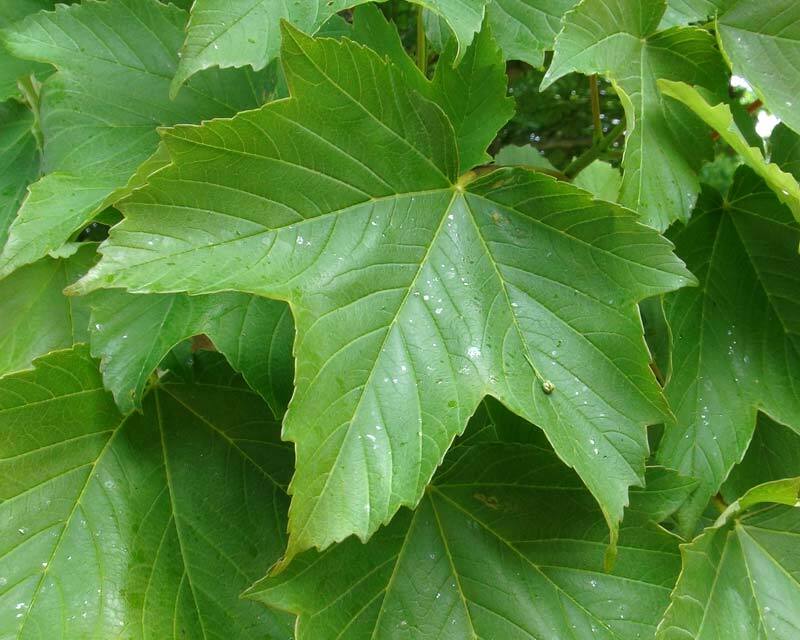 The sycamore (Acer pseudoplatanus) is a large, deciduous, broadleaved tree that was introduced to the UK in the 17th century and has now become naturalised. 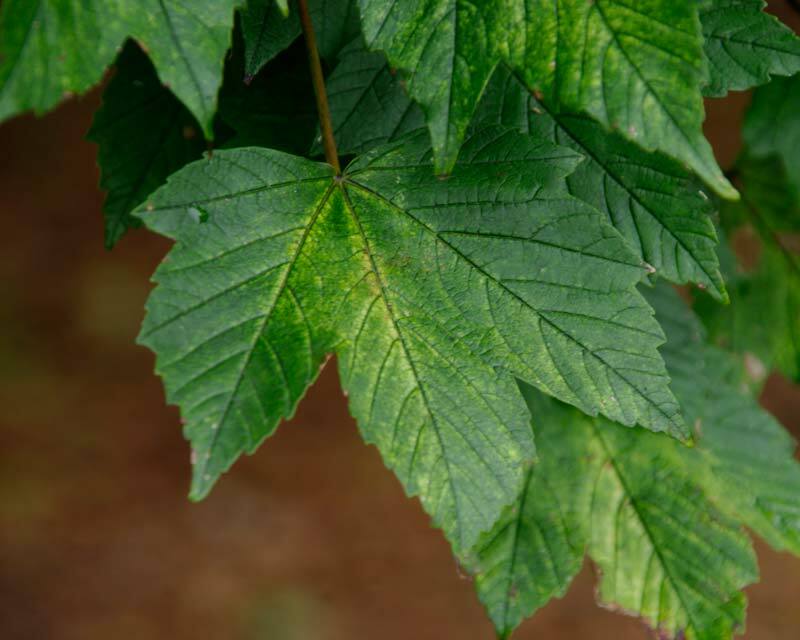 As with most Acer family trees, they have palmately lobed leaves around 8-10cms across with the stems of younger plants being reddish in colour. The bark is dark pinkish grey in colourand smooth when young, but it becomes cracked and develops small plates with age. The flowers are small, greeny-yellow in colourand hang in racemes and after pollination by wind and insects, female flowers develop into distinctive winged fruits/seeds, known as samaras. 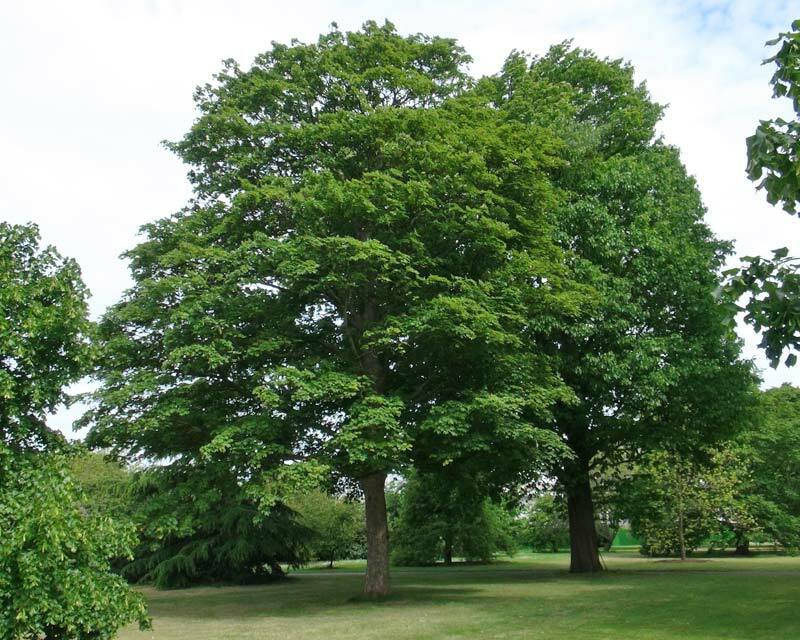 Sycamores are often seen planted in parks and large gardens, mainly for shade or ornamental purposes. The mature trees are very tolerant of wind, so are often planted as wind breaks in coastal and exposed areas. 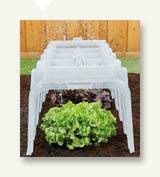 They can also tolerate pollution so are particularly suited for planting in towns and cities. 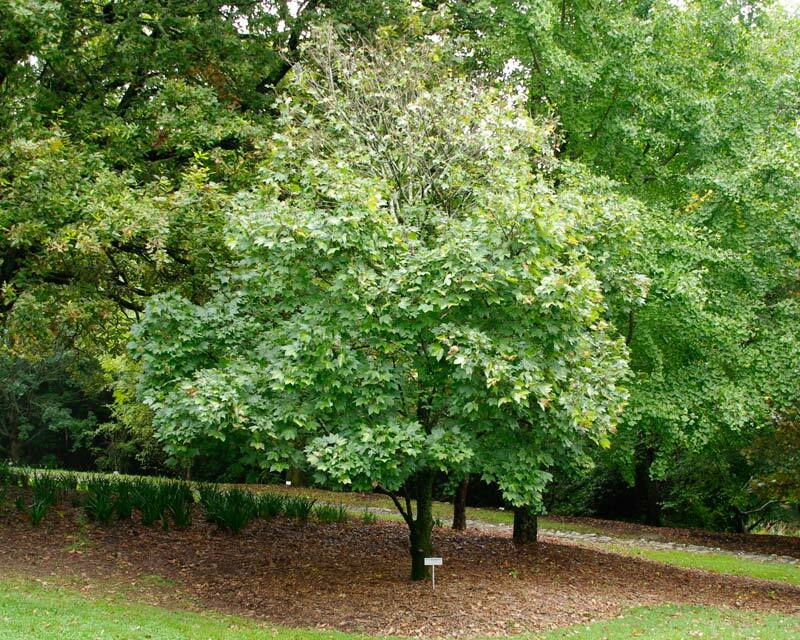 Soil: Sycamores grow in just about any soils but they prefer it deep, rich, moist but well-drained. 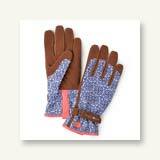 Maintenance: Little maintenance required apart from keeping roots moist until established. Beware the roots as they age, which can become invasive if planted near to buildings. Diseases: Sycamore can be susceptible to sooty bark, which can lead to wilting of the crown and death of the tree, as well as a variety of other fungal diseases. Comments: Sycamore timber is strond, hard, fine grained and pale cream in colour and is therefore good for making furniture and kitchenware as the wood does not taint or stain the food.